Open mornings for potential applicants interested in the SCITT programme will take place at Twynham School, Christchurch, the Lead School for the Bournemouth Poole & Dorset Teacher Training Partnership. 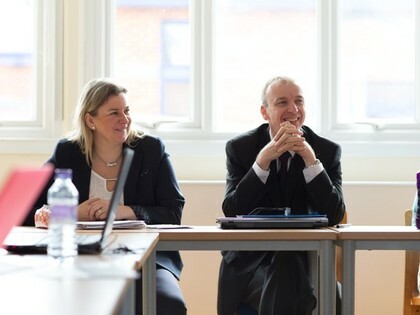 The mornings will include a tour of the school with an opportunity to spend some time in classes, a presentation on our teacher training programme, support with your UCAS application and an opportunity to ask questions and meet with staff and trainees. Refreshments will be provided.